If you’re looking for a Volkswagen dealership in the Orem area, your search is over. You’re about a half an hour away from Volkswagen SouthTowne, where you’ll find a generous selection of both new and used cars that are sure to fit the bill. 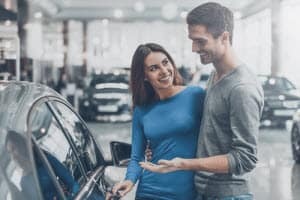 Continue reading to find out a little bit more about the surrounding area and check out what our Volkswagen Orem, UT dealership has to offer as well. Tucked into the Northern portion of Utah, Orem is host to scenic landscapes while still having all of the amenities of suburban area. Home to just under a hundred thousand people, Orem was recently voted one of the best places to raise a family by Forbes Magazine. The city itself was named after the President of the Salt Lake and Utah Railroad, Walter Orem. The city has become a popular spot for summer tourism due to their Summerfest Celebration and Parade as well as their Labor Day weekend Timpanogos Storytelling Festival. The storytelling festival has been known to attract close to 30,000 people each year as they gather to enjoy food, music, fun, and you guessed it-storytelling! If you’re in the market for a reliable and stylish need car to experience everything in Orem, our nearby dealership can help! We have plenty of brand new Jetta sedans and Golf hatchbacks on our new inventory lot, but sometimes you need something a bit bigger. If you want a larger sedan for your new vehicle, then feast your eyes on one of the 100 Passats we have waiting for you to take a test drive! If you’ve got your heart set on a crossover, check out the Tiguan, which has been rated as one of the top small SUVs on the market by U.S. News and World Report. Smaller than our Touareg, but just as stylish, this little powerhouse of a crossover has dozens of different offerings in our inventory ready for you to drive one home. 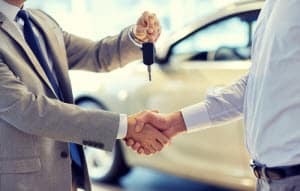 Everyone knows that the biggest perk in the car buying business is driving off the lot in your brand new or new to you car. However, we want to ensure that your car is as happy as you are, so we offer several free additional services to assist you in maintaining your Volkswagen vehicle. With the purchase of new car from us, you can count on free tire rotation, free inspection for the life of the car, and free loaner service if your car requires repairs. We’re in the business of keeping your car healthy. From a tiny pinprick in your windshield to full body repair following a collision, our service center is equipped to help. With years of experience and extensive training, our service experts are prepared to have your car in perfect working order in no time! If you’ve got your eye on a Volkswagen, then you want to come out to a Volkswagen dealership serving your area. We’re conveniently located just a short distance from Orem and we can’t wait to meet you here at Volkswagen SouthTowne. Check out our inventory today and be sure to contact us with any additional questions!